Please note that Smart Sport International is slowly migrating to a new location. You will find all of the same news, articles, FAQs, and discussion forums at http://www.smartlifeinstitute.com/ssi. If you have subscribed via email or RSS, your subscription will not be affected. You can also subscribe to the main Smart Life Institute feed here if you want to explore health, fitness, and all the latest news and updates. 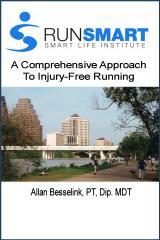 01 RunSmart Interview - "The Authors"
RunSmart will be making an appearance at the Austin Marathon Expo! 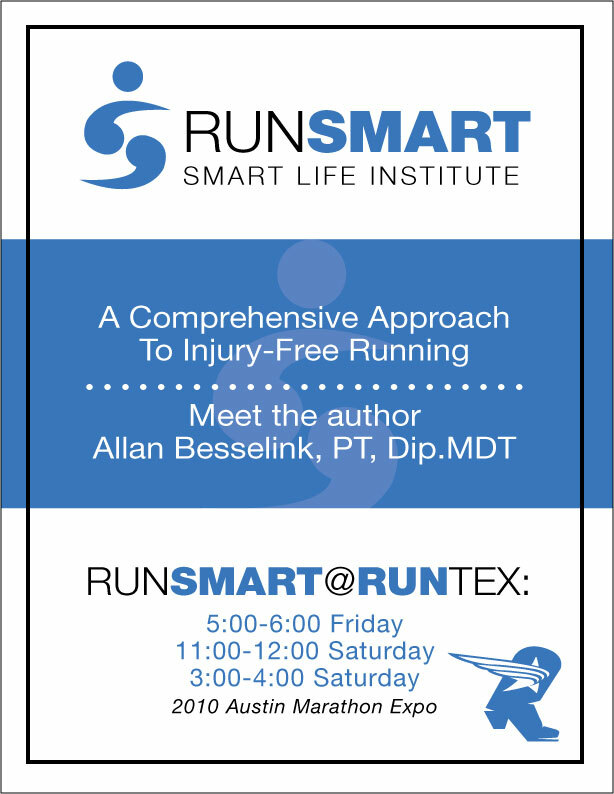 An educational session entitled "RunSmart: An Evidence-Based Approach To The Injured Runner" is scheduled on Saturday February 13, 2010 at 5:00 pm during the Austin Marathon Expo at the Palmer Events Center (900 Barton Springs Road). 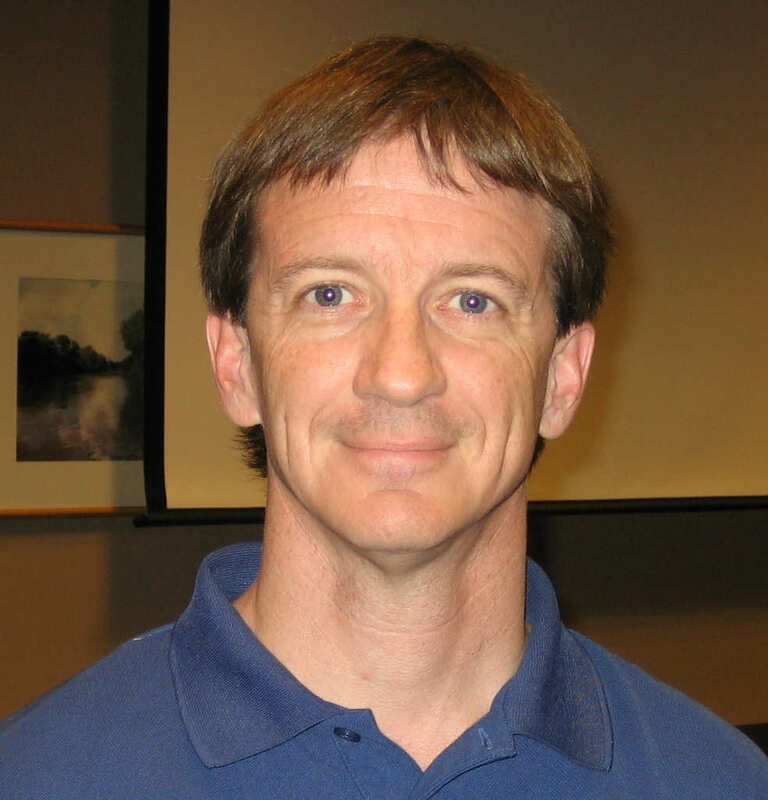 Allan Besselink, PT, Dip.MDT, Austin physical therapist, endurance sports coach, and author of "RunSmart: A Comprehensive Approach To Injury-Free Running", will discuss the causes of running injuries, the currently-held beliefs, and the present evidence on effective treatment of them. This is a free event. Copies of the book will be available for purchase and signing. 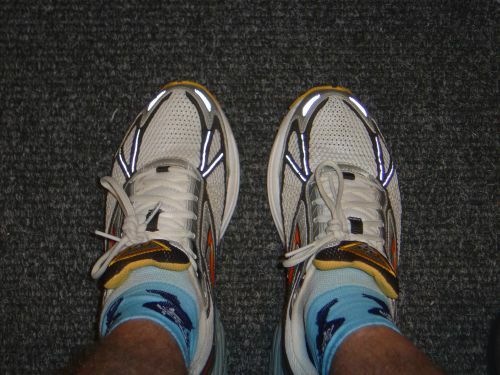 Update 2/10/10: Books will be available at the RunTex booth, and I will be at the RunTex booth Friday 5:00 - 6:00, Sat 11:00 - 12:00 and 3:00 - 4:00 - answering questions, signing books, and helping out the good folks at RunTex!